Scott Morrison became Australia’s 30th prime minister when Malcolm Turnbull resigned as Liberal leader and he was elected to replace him by the Parliamentary Liberal Party. Scott Morrison may see himself as the first prime minister from the Shire, the local reference for Sutherland Shire in Sydney, and focused on the Shire community in his inaugural speech, but he actually grew up in the seaside suburb of Bronte. The Morrison family passions were sport, community service, local politics, church and amateur theatre. A church musical part led to Morrison becoming a child actor in television advertisements. His father John was a police officer and mayor of Waverley. Morrison was educated at Sydney Boys High and later the University of New South Wales. He worked for the Property Council of Australia before moving to the Australian Tourism Task Force and later to rival the Tourism Council. In 1998, Morrison headed New Zealand’s Office of Tourism and Sport. He returned to Sydney and became state director of the NSW Liberal Party from 2000 to 2004. He left to run Tourism Australia and became known for the ‘Where the bloody hell are you’ advertising campaign to promote Australia to international visitors. Morrison won the federal seat of Cook in 2007 after the retirement of Bruce Baird. Morrison was Minister for Immigration and Border Protection in 2013 and, after a reshuffle, Minister for Social Services in 2014. Before becoming prime minister, Morrison served as federal Treasurer in the Turnbull Government. 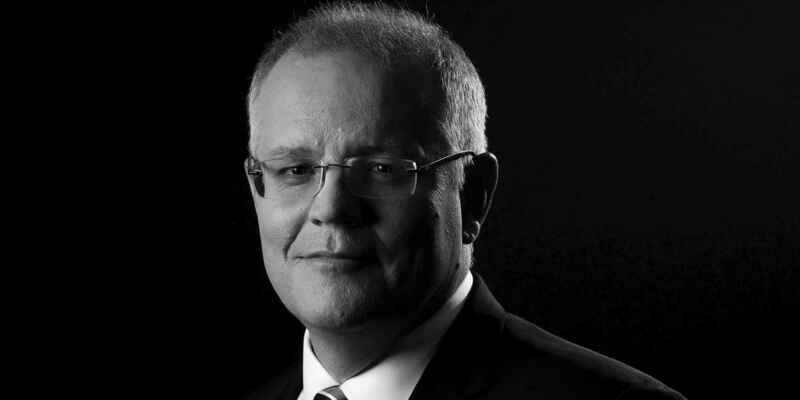 On 22 October 2018 Prime Minister Scott Morrison delivered the national apology in parliament to the thousands of Australians who were victims of child sexual abuse perpetrated by people in the institutions entrusted with their care. On 26 October 2018 representatives from farming, agribusiness, governmental, banking and finance and community organisations came together to develop a shared understanding of the impact of the drought and the action to take. On 17 – 18 November 2018 Prime Minister Scott Morrison attended the APEC forum held for the first time in Papua New Guinea. After suffering a record-breaking swing of nearly 18 per cent against it in the Wentworth by-election on 20 October 2018, in which the Liberal candidate Dave Sharma was defeated by Independent Kerryn Phelps, the Morrison government lost its majority in the House of Representatives. The by-election resulted from the resignation of Malcolm Turnbull from parliament after losing the prime ministership two months earlier. The government will now be required to negotiate with a growing and increasingly complicated crossbench of seven members in the House of Representatives until the next election. A further consequence of losing its majority is the likely impact on the business of the House, with the Morrison government no longer having complete control over parliamentary motions. Scott Morrison won the Liberal Party leadership after defeating Peter Dutton in a vote 45 to 40 on 24 August 2018. The leadership ballot came after Malcolm Turnbull called for a second leadership spill. An earlier leadership spill called by Turnbull saw him narrowly defeat Dutton, who promptly resigned from cabinet. The leadership challenge resulted from bitter divisions within the party over its direction. A number of prominent conservative Liberals, including Dutton and former prime minister Tony Abbott, expressed concerns over government policies such as the National Energy Guarantee and argued that the government’s performance in the Longman by-election was an indication that Turnbull had lost the party’s core supporter base. After gaining the leadership Morrison and his colleagues have continued to struggle to explain to the Australian public the reason why the leadership change was necessary. This lack of clarity is likely to be an issue in the federal election, expected in the first half of 2019. This will be the greatest challenge for Morrison with a looming election to convince confused voters what all the leadership turmoil was for. After Scott Morrison won the seat of Cook in 2007, the impact of the 2005 Cronulla race riots was still being felt in the community. Morrison worked closely with Muslim community leader Dr Jamal Rifi, a general practitioner in western Sydney, to heal the wounds and rebuild trust in the wake of the riots. Dr Rifi was also president of the Lakemba Sports and Recreation Club and he collaborated with Morrison, who is a strong supporter of the local Bate Bay surf clubs, to develop projects to train young Muslim men and women as surf lifesavers. In 2009, Morrison worked with Rifi and Labor politician Jason Clare to walk the Kokoda Track with some of the surf lifesavers and young Muslim people from Bankstown in Clare’s electorate. Dr Rifi sees his commitment to community and service as one of the major things he has in common with Morrison and has contributed to their friendship. Jane Cadzow, The watchman, The Sydney Morning Herald, 3 November 2012. Sunil Badami, Scott Morrison at Shirelive, The Monthly, February 2014. Sean Kelly, The rise, duck and weave of Australia’s no-fault prime minister, The Monthly, November 2018.